The Progressive Voters Guide is an annual project of Fuse Washington. Since 2008, we've combined the endorsements of Washington's leading progressive organizations with research about candidates and ballot measures to give you the information you've been searching for to be an informed voter. More than 1,300,000 people have used the Progressive Voters Guide, and thousands come back each and every election for more of our thorough candidate research and trusted recommendations. Which candidates and ballot measures get recommended in the guide? Fuse staff research and compile the endorsements from our Progressive Voters Guide partner organizations, which are listed below. In most cases, we recommend candidates and ballot measures that have been endorsed by at least one of these partner organizations. In races where the endorsements are split, we strive to show voters which candidate has received the most support. We also seek input from partners and local community members to determine a candidate’s values and priorities. While we cover more than 200 races in some years, unfortunately we are not able to make recommendations for every candidate in every jurisdiction. If you believe we have omitted a key race or made an error, please let us know by using the “feedback” link above. 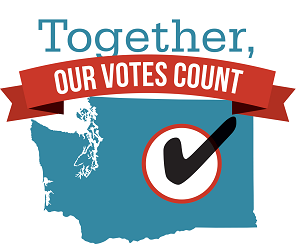 Our Votes Count Washington is a voter engagement project building power in communities across Washington by encouraging voters to get involved locally and vote all the way down their ballot. Together we can build a movement to develop lasting voting habits, elect new leadership that reflects our community, and create long-term change in our state! To learn more, visit OurVotesCountWA.com. Note that not all groups endorse in all races and ballot measures. AFT Washington represents over 6,500 education professionals in early childhood education and Head Start, K-12 school-related personnel, and faculty, professionals, and classified members at two- and four-year colleges and universities. 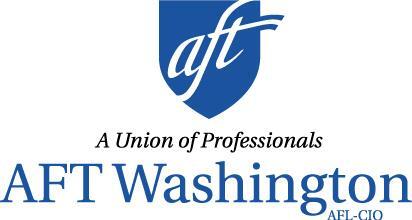 AFT Washington is affiliated with the American Federation of Teachers which represents 1.5 million members in education, health care, and public employment. amplify recruits, trains, elects, and supports progressive champions for state and local office in the Northwest, prioritizing people of color, women, young people, and LGBTQ candidates. Asian Pacific Islander Americans for Civic Empowerment (APACE) works for social and economic justice by transforming our democracy through grassroots political empowerment of the broad API community, sustaining a progressive voice to hold ourselves and our leaders accountable to the people. Equal Rights Washington is the state's leading advocacy organization for lesbian, gay, bisexual and transgender civil rights. ERW's mission is to ensure and promote dignity, safety and equality for all lesbian, gay, bisexual and transgender Washingtonians. Equal Rights Washington candidate endorsements are based on past voting records, candidate interviews, and other available information, including public statements of candidates. ERW is nonpartisan. ERW typically endorses in some statewide and some legislative races. ERW does not typically endorse in local races. ERW's will be announcing additional endorsements as we evaluate races. Fuse is the state's largest progressive organization - people creating change online, on the ground, and on issues that matter. We envision a Washington where everyone who works hard and plays by the rules can be part of a secure middle class, and create a better world for our children. The Latino Political Action Committee of Washington is a progressive organization of Latinos that was formed in 2005. Since its formation, the Latino PAC has screened and endorsed several state and city candidates. The Latino PAC is led by local Latino leaders and offers individuals and contributors an opportunity to work on advancing the political power and well being of all Latinos in Washington State. The M. L. King County Labor Council, AFL-CIO, is the central body of labor organizations in King County, Washington. The core responsibilities of the M. L. King County Labor Council are to assist workers and their unions in the struggle for social and economic justice; support efforts to organize and bargain fair contracts; lobby, endorse and involve working people in the political process; advocate and support laws that protect working people; support community services outreach work; and unite with community allies who are also struggling for justice. NARAL Pro-Choice Washington strives to elect pro-choice officials to secure, protect and strengthen reproductive freedom and choice. As a non-partisan organization we endorse candidates based solely on their support for a wide range of reproductive healthcare issues. Our endorsement process includes a candidate questionnaire followed by a personal interview between the candidate and our Political Action Committee. OneAmerica Votes is a membership organization with a mission to promote democracy and build power in immigrant and refugee communities by advocating for policies, developing leaders and electing candidates that strive for justice. All endorsed candidates have demonstrated leadership on issues that increase opportunities and improve the lives of immigrants, refugees and communities of color. OneAmerica Votes’ position on ballot measures and initiatives indicates whether an issue aligns with our values of strength in diversity; personal responsibility and shared accountability; and democracy and justice for all. The assault on reproductive rights is taking place everywhere from Washington DC to your local pharmacy. Planned Parenthood Votes Northwest and Hawaii is an independent, nonprofit, nonpartisan organization and a forceful champion for your right to basic health care and reproductive freedom. Our advocacy and voter education organizations are working hard across the Northwest educating Washingtonians and policy makers about reproductive health issues. Planned Parenthood Votes Northwest and Hawaii lobbies and educates to advance Planned Parenthood's mission and also engages in limited electoral activities. If a candidate is listed as being endorsed by SEIU, it includes endorsements by two or more of the following SEIU locals. SEIU 775 represents 43,000 long-term care workers throughout Washington State and Montana. Our mission is to improve the lives of workers and their families, and to lead the way towards creating a more just and humane society. We endorse candidates based on their records and positions on issues important to long-term care workers, seniors, and people with disabilities. 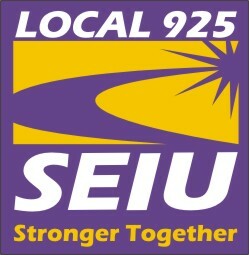 SEIU Local 925 unites 14,000 education and public service workers across Washington including child care providers, university employees, and school district staff. Our members meet with candidates, review their records, and recommend those who will support working families. 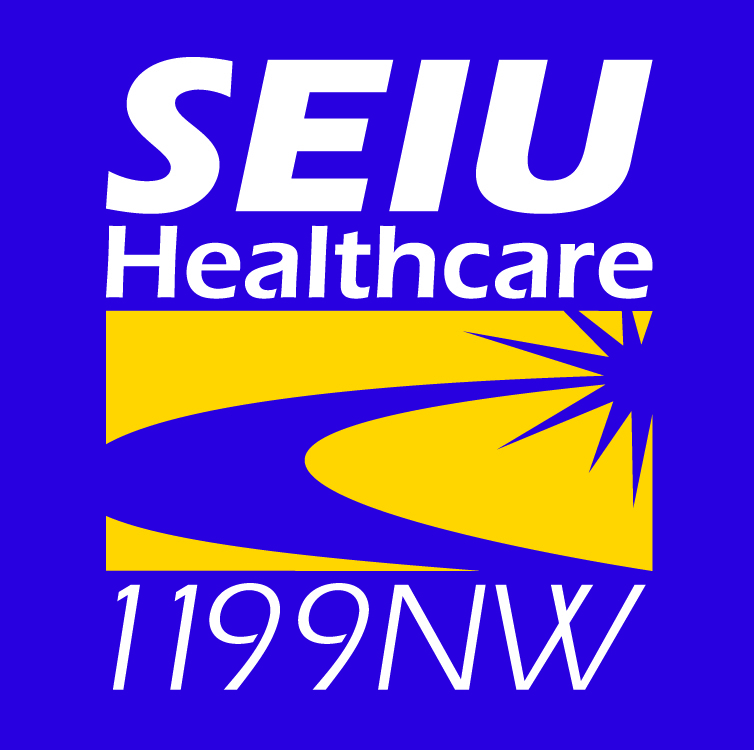 SEIU Healthcare 1199NW represents more than 28,000 nurses, healthcare employees, and mental health workers in hospitals, agencies, and clinics statewide. Recommendations from SEIU Healthcare 1199NW are based on candidate interviews, questionnaires, and voting records. If you want laws protecting our environment, the only way to get them is to elect good lawmakers. The Washington State Chapter of the Sierra Club interviews candidates running for public office, endorsing those it believes will be environmental leaders. The committee then supports endorsed candidates with funds from Sierra Club Political Action Committees (PAC), either by direct contribution to candidates, or through Sierra Club volunteer-powered campaigns. With unwavering integrity, Joint Council of Teamsters No. 28 empowers and supports our Local Unions and their membership across Washington, Alaska, and Northern Idaho. Through organizing, education, and political action we will expand the rights, wages, and benefits of working families. Moving forward, united as one. The Stranger is Seattle's only newspaper. 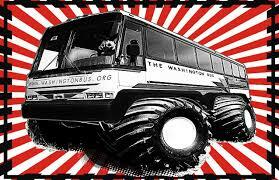 The Washington Bus engages tomorrow's leaders on their own terms, and empowers them through education, civic and cultural engagement, and hands-on democracy. We take control of, and responsibility for, our own future by making sure our friends and peers are registered to vote, know the issues, and fill out their ballots. United Food and Commercial Workers (UFCW) Local 21 is the largest private-sector union in Washington, with over 43,000 members working in grocery store, retail, health care, meat processing and other industry jobs. UFCW 21 represents more retail and grocery employees and more professional and technical health care employees than any other union in the state. No matter what type of job workers are in, strong unions allow workers to speak out for fairness for all working people in their communities and create better standards and a strong middle class across the country. 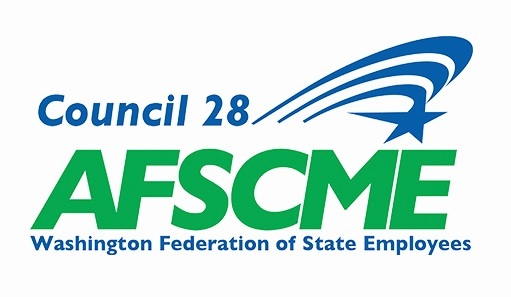 Washington Federation of State Employees, AFSCME Council 28, the AFL-CIO and all unions envision a future in which work and all people who work are valued, respected and rewarded. The Washington State Council of Fire Fighters (WSCFF) represents nearly 8000 affiliated members of the International Association of Fire Fighters (IAFF). We advocate both locally and at the federal level for adequate training, safe working conditions, fair pay and benefits, and job security for the women and men serving in our profession. The National Organization for Women (NOW) is the largest organization of feminist activists in the United States. NOW has 500,000 contributing members and 550 chapters in all 50 states and the District of Columbia. Since its founding in 1966, NOW's goal has been to take action to bring about equality for all women. The National Organization for Women (NOW) Federal PAC endorses candidates for the federal elections and the WA State NOW PAC endorses candidates for local and state elections. Washington Bikes endorses electoral candidates at all levels of government. Endorsement and support are given to candidates who commit to or have a record of making communities better for people on bikes — through growing local economies, improving health outcomes, or creating safer streets and roadways. 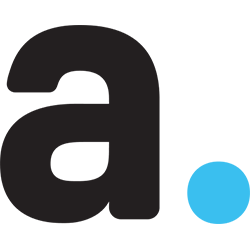 Additionally, Washington Bikes makes endorsements of ballot measures which will benefit Washington communities through bolstering transportation choices, supporting outdoor recreation, and working to safely connect neighborhoods and cities. With over 35,000 members, Washington CAN! is the state’s largest grassroots community organization. Together we work to achieve racial, social, and economic justice in our state and nation. Our strength as an organization depends on our members’ involvement. We believe that we can only achieve our goals when people take action for justice. Washington Conservation Voters is the statewide political voice for the environment. We work to elect environmentally responsible candidates to state and local offices. Working with our allies in the community, we advocate for strong environmental policies and hold our elected officials accountable during the legislative session. Through our political work we are strengthening laws that safeguard the health of our communities, the beauty of our state and our economic future. Each year, Washington Conservation Voters supports pro-environment candidates during the election season. Working with our chapter network we are able to support over 100 candidates each cycle at the state and local level. 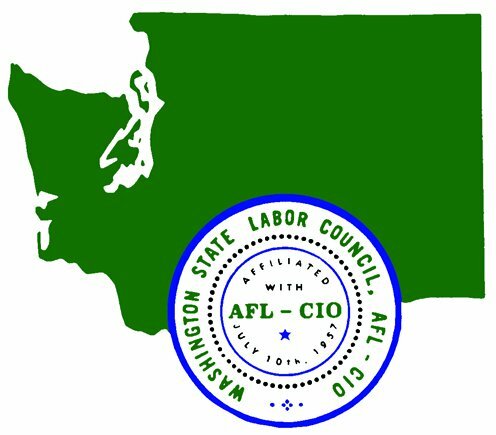 Widely considered to be the “voice of labor” in our state, the Washington State Labor Council, AFL-CIO, represents and provides services for hundreds of local unions and trade councils throughout Washington state. The WSLC’s core programs are legislative advocacy, political action, communications and media relations, and assistance with organizing campaigns. Learn more about the services we provide our affiliated unions and directly to workers.